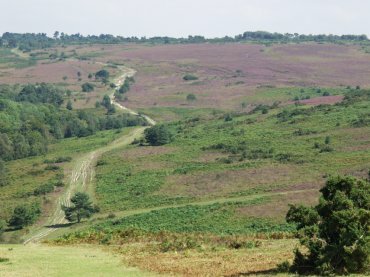 Ashdown Forest, like the New Forest in Hampshire, comprises wooded areas together with heathland such as that shown here. There are three types of heather here and the purple area is heather in bloom. We 'discovered' Ashdown Forest on the way home from Alfriston so did not have a lot of time to look around. What we did see would encourage us to come again. 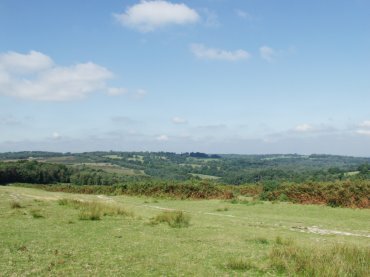 This shows some of the wooded areas to the north seen from the high ground of the heath near Nutley. We chanced on this heath whilst looking for the Nutley Windmill and it appears to be the largest area of heath in the forest. 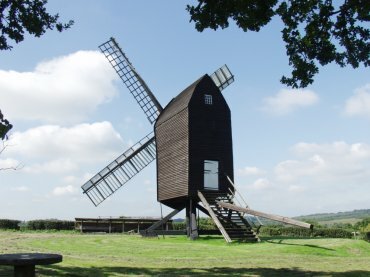 Nutley Windmill, in a beautiful setting, can be easily reached by walking from the car park on the heath. This post mill is the last open-trestle post mill in Sussex, and only one of five surviving in the country and is the only one working in Sussex. Having an open trestle, Nutley Windmill is a very fine example of the oldest post mill design, known in the country since the 12th century. The mill is believed to be about 300 years old and this is born out by a timber which was dendrochronology dated to a felling date of 1738-1770. The actual post was dated to a felling of 1533-1570, the earliest in the country. Open days are very limited so if you want to see inside check before you go. 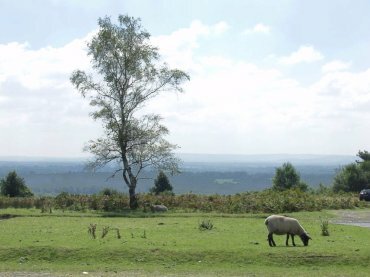 There are, of course, the inevitable sheep grazing on the open heathland. They must be used to people as they are not as timid as might otherwise be expected and I saw one very close to some people, sitting by their car, looking hopefully for tid-bits.